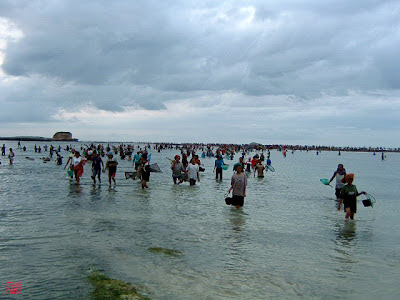 One of the rarest festivals in the Island of Lombok is called ‘Bau Nyale’, a festival of local Lombokian to communally catch sea worms during the early hour of dawn. This phenomenon happens only once a year in a very particular day, between January-February-March. The designated day has to be established each year to know the exact date the worms would appear according to the local timing. The existence of this legendary story begun from the Lombok style of ‘fairytale’ story of scarification of Princess Mandalika who jumped into the ocean amidst its surging waves, where she later turned into a sea worm. There were flourishing folklore stories surrounding the island and one famous version of the story was that once upon a time in the district of Central Lombok Island there was a Kingdom called Tunjung Beru ruled by a wise and prudent king named as King Tunjung Beru (means blue lotus). Under his directions the people live peacefully, prosperous in many ways, secure, and tranquil and the peoples are happy to work together and respect each other in a mutual way. With his wife Goddess Seranting, the king has one very beautiful, wise, polite, friendly, with elegant attitude and knowledgeable daughter named Princess Mandalika. Everybody in the kingdom respects her, likes her and very fond of her and always pleases her, and wherever she goes people are always happy to seeing her. Because of her beauty and radiant personality, many of the young princes from the neighboring kingdoms fell in love with her and all came to Tunjung Beru kingdom to impress upon their chances to be chosen as the beloved husband of Princess Mandalika. The challenge is how to choose the right man among these aspiring young princes? It was decided then by those concerned princes that they all come together into a battle and agreed that whoever finally wins a series of fights, has the right to marry the beautiful princess. Suddenly the news of the battle plan among the princes has reached the King. The king immediately called his daughter to discuss the mounting issue. The princess would like to choose only one amongst those princes but if she chose one, the rest of the princes will feel jealous and may create disorder and bloodshed between the kingdoms. Because of this complex and intricate situation, to avoid a possible turmoil, which may cause lots of casualties, she has to make a quick decision, the princess decided not to marry anyone and she would rather give up her life to maintain accord and harmony in these kingdoms. One very dark night, after she purified her body, dressed in the finest clothes, she made her offering to the God earlier than usual, then after prayer she walked to the seaside, accompanied by both her parents, while all princes and peoples of Sasak gathered in silence. She piled some stones and she meditates until almost morning. After the meditation and just before the sun appears in the horizon, Princess Mandalika made an important announcement to all of the people in the kingdom. In front of her parents she spoke loudly and everybody can hear clearly: ‘Oh my beloved father King and mother Queen, all princes and my people of Tunjung Beru, I would like to let you know that I made a decision that I shall only belong to you all. I love you all. Please forgive me that I cannot choose one among you to be my husband, among the many pleasing princes. My destiny is written in the book, that I myself is destined to be a sea worm (nyale) that will appear in a particular day of the year for you to altogether gather and continue to be with me on the appointed time’. Princess Mandalika then stood on top of the stones and jumped into the ocean and immersed herself, swallowed by the gushing waves of the Indian Ocean and then suddenly the sky became so cloudy, heavy rain poured, cyclone, thunder storm, loud voices, scream everywhere, the beachfront was in an absolute state of chaos. This was a very tragic event and the princess disappeared without trace. But after a short while, the situation became calm again and small colorful animals, in a form of worms appeared along the seashore and covered the seabed. The colors of the worms were black, green, red, white, mixed black and white, yellow, brown, blue, etc. The people of Sasak believed that the colorful worms were the reincarnation of their beloved Princess Mandalika. 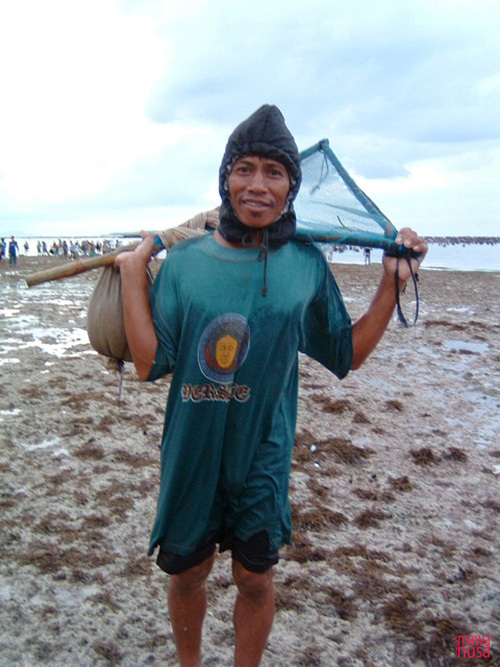 And according to the local language these sea worms are called ‘Nyale’. Since then the locals believed that the princess would visit her people in a particular days of the year. 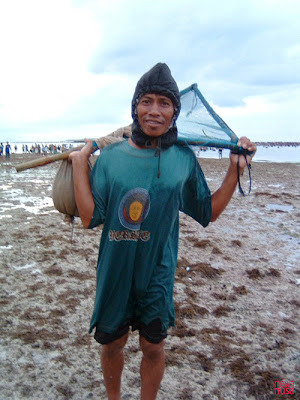 The days of worm catching depends on the ‘kind of clue’ given by ‘supernatural being’ to a special person in Lombok island who would tell when the worms will appear in a particular time of the year. The chief of the tribe will receive the message and pass it to the people around the Island. From the Lombok old writings, it was believed that the worms appeared on the seashore of Seger Beach, Kuta Lombok on the 20th day of the month 10, according to the Sasak Calendar (Sasak is the Lombok’s main tribe). I have witnessed this festival once. The day before the most awaited event arrived, tens of thousands of peoples gathered to the revered site. There is a certain committee that facilitates and prepares everything, from the tents, instant bazaar, art performances and many other activities. 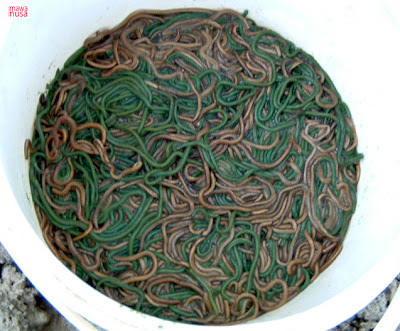 You can even bring your own tent and camp overnight to wait until sunrise and witness how the worms are caught by thousands of people and store them in colorful containers or bags. From the story, people believed that catching the sea worms is a sign of how much they love their princess and believed that if you have the sea worms you will always be prosperous in life and the princess will help you achieve your goals and dreams. The festival starts after sunset with some speeches by the local authorities, crowning of the Putri Mandalika, singing, poetry reading, and drama performances with the story of Princess Mandalika. The most unique one is the shadow puppet performance by the local ‘dalang’, a single performer. 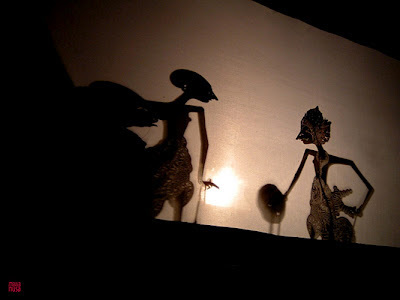 The Shadow puppet performance starts after the ceremonial event and will continue until sunrise, which shows the last scene when the Princess Mandalika plunged into the ocean. As soon as the story reached this final scene, everyone in the crowd will run and jump into the ocean to catch the worms. This is a sign that the princess is coming ashore. Believe me, just before the puppet shadow ends there was no sign of a single worm on this beach, but soon after the story ends, there were millions of sea worms along the shore. This was really an unbelievable phenomenon and only on this beach the sea worms would appear while nothing in the other beaches – truly an amazing experience! The people of Sasak, still hold this tradition in conjunction with the Pasola. This one is happening before the appearance of the sea worms. The head of the tribe will receive a kind of spiritual message when it is the right time to have this ceremony. Pasola ceremony is mostly held during the arrival of full moon and from this ceremony the community will decide when they will do the annual Nyale Festival. The story of this generation was amazing and holds moral value that can serve as guidance in daily life. The sea creatures ‘nyale’ was scientifically proven to contain many valuable protein, minerals and other nutrients that would be beneficial to our body. The Nyale Festival started since 16th century A.D. and continued to exist until today and perhaps for many generations to come.